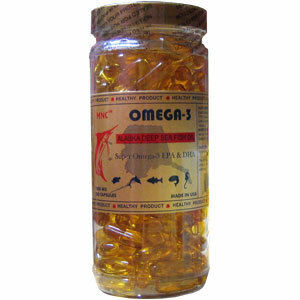 Natural triglyceride marine lipid concentrate providing a dietary source of Omega 3 polyunsaturates. Maintain normal cholesterol, maintain a healthy blood pressure. MNC™ is a natural triglyceride marine lipid concentrate providing a dietary source of Omega 3 polyunsaturates. Fatty acids are the basic building blocks of which fats and oils are composed. Contrary to popular myth, the body does need fat. It must be the right kind, however. The fatty acids that are necessary for health and that cannot be made by the body are called essential fatty acids, they must be supplied through the diet. Essential fatty acids have desirable effects on many disorders. They improve the skin and hair, reduce blood pressure, aids in the prevention of arthritis, lower cholesterol, and triglyceride levels, and reduce the risk of blood clot formation. Eloosapentaenoic acid (EPA) and Docosahoxaenoic acid (DHA) are Omega-3 essential fatty acids primarily found in the oil of cold water fish including salmon, Bluefish, Herring, Mackerel, Tuna, and the like. Studies indicates that they are capable of thinning blood and lowering blood fat and cholesterol levels. They have the therapeutic applications for heart disease, inflammatory conditions like arthritis, and psoriasis. Taken in excess, DHA can reduce blood clotting capability. It often has vitamin E oil added to prevent rancidity. They come in liquids and capsules. This product contains no starch, sugar, artificial preservatives and no chemical additives. High blood pressure, high cholesterol, poor blood circulation, etc. As a dietary supplement for take 2 capsules a day.